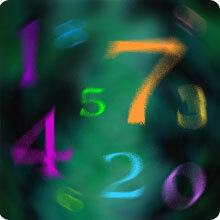 People with lucky Number 7 person is peaceful and affectionate soul, and by nature rather reserved and analytical. The overwhelming strength of the number 7 is reflected in the depth of thinking that is shown; they will garner knowledge from practically every source that they find. Intellectual, scientific and studious, they don't exit a premise until they have dissected the subject and arrived at they own independent conclusion. This is a very spiritual number and it often denotes a sort of spiritual wisdom that becomes apparent at a fairly early age. They need a good deal of quiet time to be with their own inner thoughts and dreams. They dislike crowds, noise and confusion. They are very thorough and complete in their work, the perfectionist who expects everyone else to be a meet a high standard of performance, too. They evaluate situations very quickly and with amazing accuracy. They rely heavily on their experiences and their intuition, rather than accepting advice from someone; their hunches usually prove to be very accurate, and knowing this, they are one who tends to follow the directions they seem to guide. It is easy for them to detect deception and recognize insincere people. They aren't the one to have a wide circle of friends, but once they accept someone as a friend, it is for life. they really aren't a very social person, and their reserve is often taken to be aloofness. Actually, it's not that at all, but merely a cover up for their basic feeling of insecurity. They actually like being alone, away from the hustle and bustle of modern life. In many ways, they would have fit in better in much earlier times when the pace of life was less hectic. In the most negative use of the 7 energies, they can become very pessimistic, quarrelsome, and secretive. A lucky Number 7 individual who is not living life fully and gaining through experiences, is a hard person to live with because of a serious lack of consideration and because there is such a negative attitude. The negative 7 is very selfish and spoiled. If they have any of the negative traits they are very difficult to get rid of because they tend to feel that the world really does owe them a living or in some way is not being fairly treated. Fortunately, the negative 7 is not the typical 7, at least not without some mitigating positive traits. This number is one that seems to have some major shifts from highs to lows. Stability in feelings may be elusive for them.